Mumbrella ‘Marketing Team of the Year Award’ – Can We Predict the Winner Based on Their Social Performance? 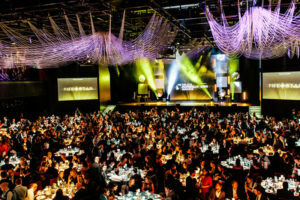 Launched in 2008, Mumbrella is the digital home to all things media and marketing and the annual Mumbrella Awards are said to be Australia’s hardest to win media and marketing awards. The awards celebrate outstanding and innovative creative works in the fields of media, marketing, advertising, PR and production. This year, there are over 30 categories from the Marketing Team of the Year to Best Use of Face to Face/Interaction Marketing Through Events. The night will see more than 1,000 senior marketing, creative, media and advertising professionals celebrate the best of the best in their industries. We decided to take a look at the companies nominated for the ‘Marketing Team of the Year Award’ to see if their social presence on Facebook could give an indication as to which company will take the award out on the night. Looking at a date range from 1/01/2017 until 10/05/2017, here’s how the nominees stacked up against one another on Facebook. Westpac takes out the number 1 spot for the most engaging page on Facebook with an Engagement Rate of 0.67%. The pages lead in Engagement is quite substantial when you take into account the average ER for this group set is 0.29%. ALDI takes out the number 1 spot for the Most Engaging Post promoting their ‘Sleeping Bag Onezies’ in a competition post. The post received over 62K interactions with an Engagement Rate of 13.51%. This level of interaction is more commonly associated with competition posts due to their like-to-win, share-to-win, comment-to-win entry mechanics. ALDI took out 4 spots in the top 10, followed by Westpac with 3 and Meat & Livestock Australia with 3. In terms of the quality of content being produced by these pages, Westpac certainly takes the cake in terms of the quantity of content produced vs. Engagement Rate. As you can see by the chart above, there is significant evidence of effort and reward – with Westpac posting only 33 times on their Facebook page this year (second least amount of posts behind Air New Zealand with 30), however securing the highest level of Engagement amongst competitors #roigoals. The Sydney Opera House Facebook page had the biggest growth in page likes this year, with a total Growth Rate of 12.6% (net change in Page Likes of 130,665). Meat and Livestock Australia followed with a Growth Rate of 10.28% and a net change in Page Likes of 1,628. Based on the above social media analytics, is it possible to predict the winner of this Mumbrella Award? Could Westpac take the award out on the night? All statistics and analysis are based on the data sourced from the public social media pages of the nominees above.